In the fourth quarter, excluding the impact of U.S. tax reform, the railroad reported net income of $486 million on revenues of $2.7 billion, a rise of 7% from the same period a year ago. Analysts surveyed by Bloomberg News expected earnings of $446 million on revenues of $2.6 billion. Diluted earnings per share for the quarter were $1.69, a rise of 19% from a year ago. Analysts predicted $1.55. “Norfolk Southern is open for growth, and we are optimistic as we head into 2018 that the current economic environment will provide an opportunity for continuing growth,” CEO James Squires said. When including the impact of the U.S. tax reform act enacted in December, the firm recorded net income of $3.9 billion and diluted earnings per share of $13.79. The tax changes added nearly $3.5 billion to net income in the quarter and for the year, and increased diluted earnings per share by $12.10 in the quarter and $12 for the year. For the quarter, the intermodal segment reported a record $667 million in revenues, a rise of 14% from a year ago. That translated to $629 revenue per unit, an 8% increase, and $549 per unit less fuel costs. Operating revenues for 2017 rose 7% to $10.6 billion with overall volumes rising 5%. Adjusted net income for the year was $1.9 billion, meeting analyst expectations, and a 15% increase from 2016. Earnings per share came in at $6.61, a rise of 18%, and topping analyst expectations of $6.48 a share. The company said revenues for the year were driven higher by tightened truck capacity and e-commerce growth, a rebound in the coal market and increased steel production and drilling activity. Norfolk Southern also named John Scheib executive vice president law and administration and chief legal officer effective March 1. Scheib succeeds William Galanko, who is retiring after 28 years with the railroad. Before joining Norfolk Southern, Scheib was chief of staff and counsel to the chairman of the U.S. Surface Transportation Board. He also was counsel to the railroad subcommittee of the U.S. House of Representatives. 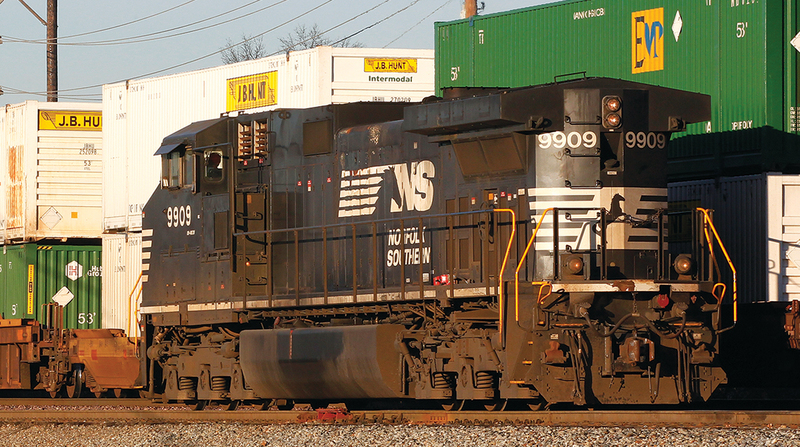 Norfolk Southern operates 19,500 route miles in 22 states and the District of Columbia.